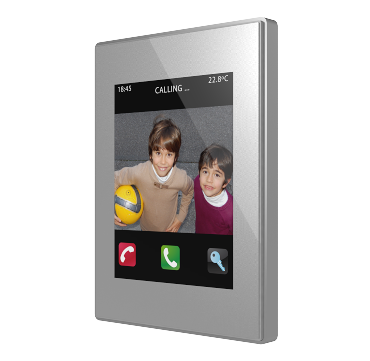 Z41 COM Color capacitive touch panel with video intercom. 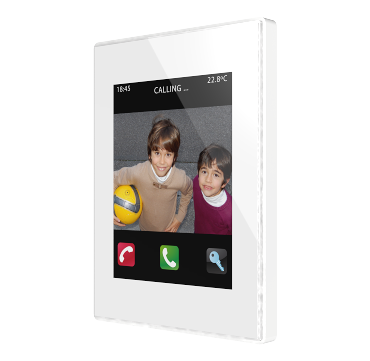 Color capacitive touch panel with video intercom. 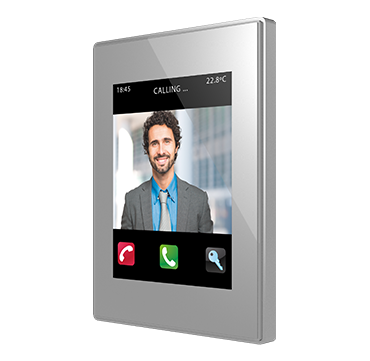 Z41 COM is a capacitive touch panel with additional communication features, including video intercom based in Zennio Getface IP System. 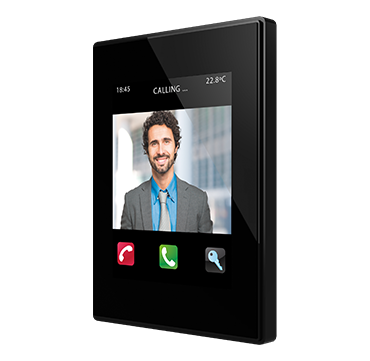 Complying with minimalist aesthetics and with the control capabilities of Z41 family (up to 96 functions available), Z41 COM allows a complete communication in smart homes, thanks to the integration with the video intercom Zennio GetFace IP, including microphone and loudspeakers. Remote control from smartphones and tablets through the free mobile app Z41 Remote. It includes additional audio output for auto-amplified loudspeaker (not included), USB port for configuration download and Ethernet port. 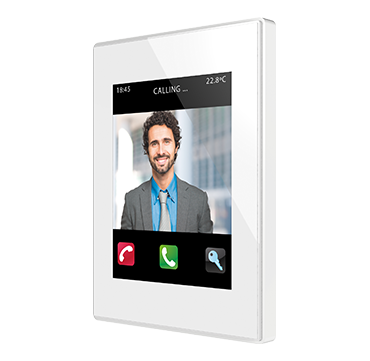 Plug&play system without additional configurations. It does not include inputs. Installation in portrait or landscape is possible. Update ETS5 with the last version to be able to import the product.